Imagine shelf after shelf packed with all that stiletto amazingness. 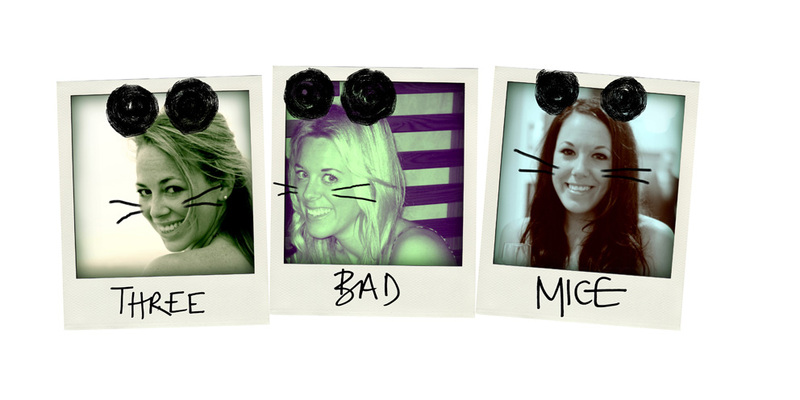 If only. Given that the chance of us magically acquiring Carrie's shoe cornucopia is slim to zilch, we've come up with the next best thing. All of Ms Bradshaw's finest footwear for just US$29. 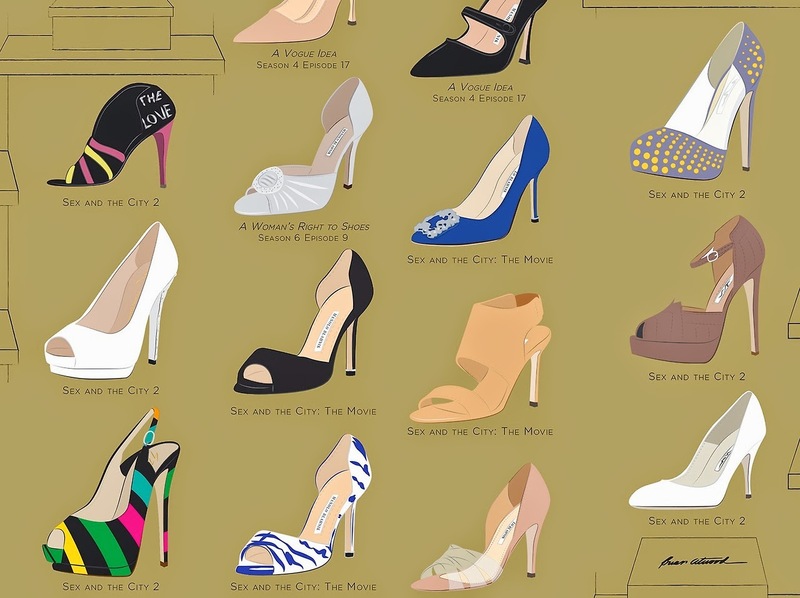 Let us introduce Pop Chart Lab's totally heeltastic The Many Shoes of Carrie Bradshaw's Closet. 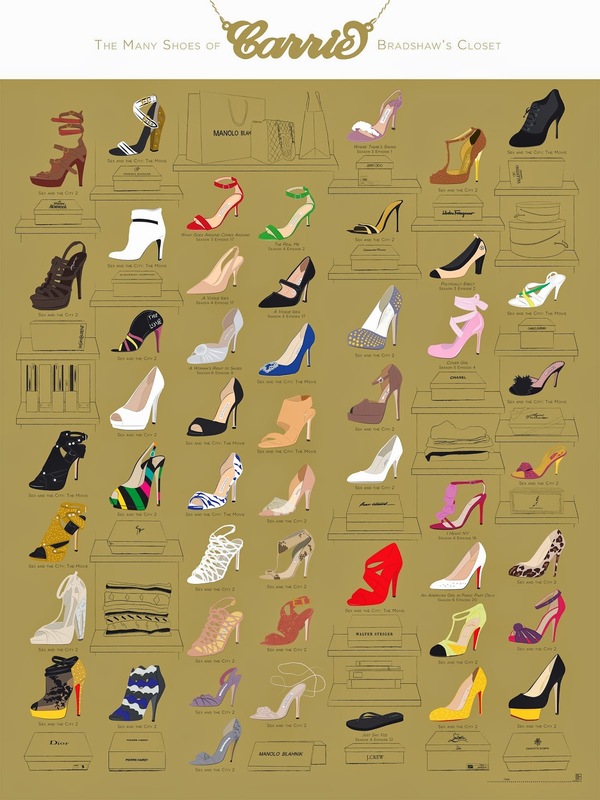 This beautifully illustrated print shows fifty of Carrie's most iconic shoes each neatly labelled with the episode or film that it appeared in. Not quite as good as a closet stuffed with Choos, Manolos, Louboutins and Zanottis but a pretty damn fabulous source of shoespiration to have hanging on your wall and help you build up a suitable Carrie-esque collection of your very own.